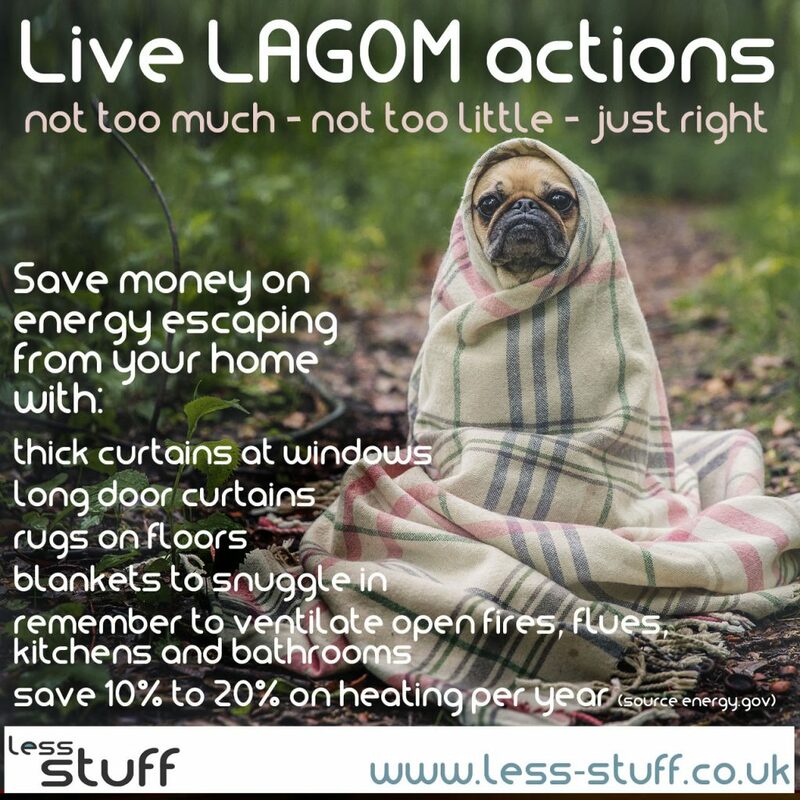 In a nutshell – As part of the Live LAGOM project I’ve been thinking about tiny ways we can all make changes for the better. 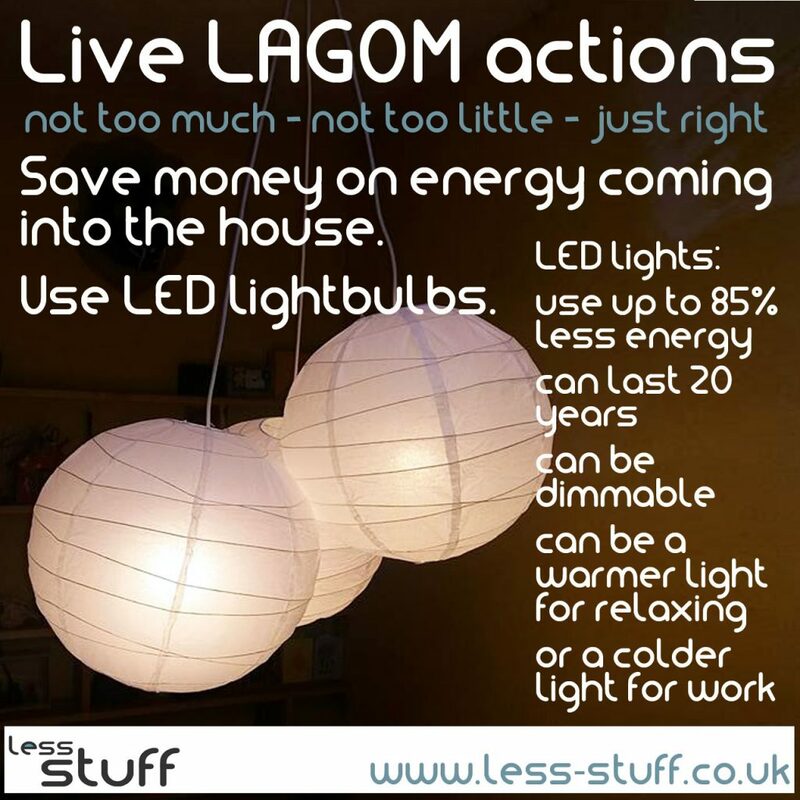 Here are some ideas to live a more comfortable and sustainable life. 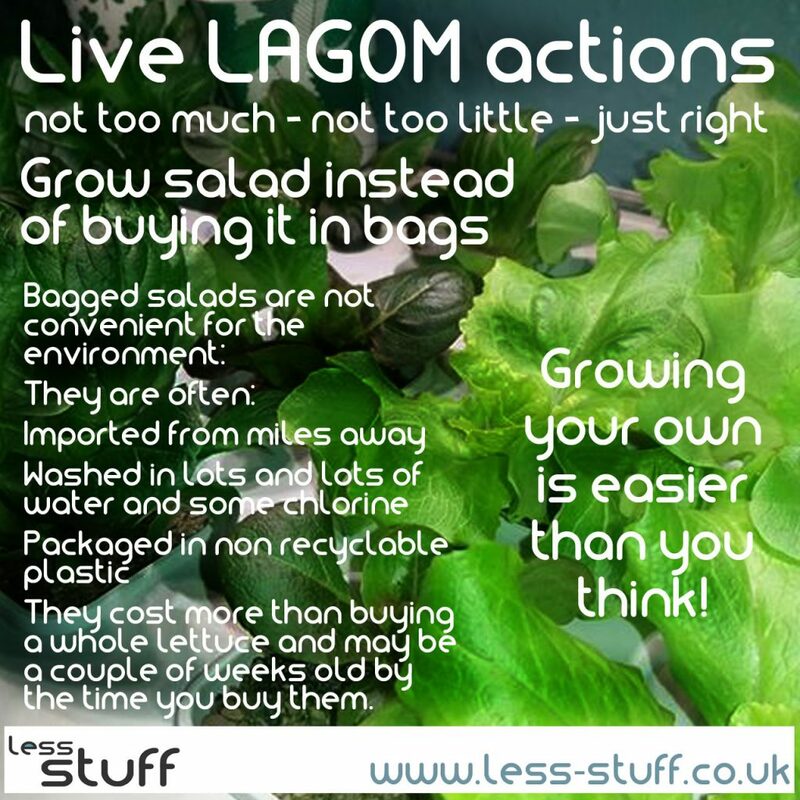 Illustrations of key points from my Live LAGOM experience, where Ikea gave me a budget for things to make life more sustainable at home. I thought we were pretty sustainable already but small things have made a big difference and we are warmer and more comfortable than we were before. I’m not quite there yet, my bike has punctures but it’s on my list of things to sort out. It’s been 10 years since I used it so I’m a little apprehensive. 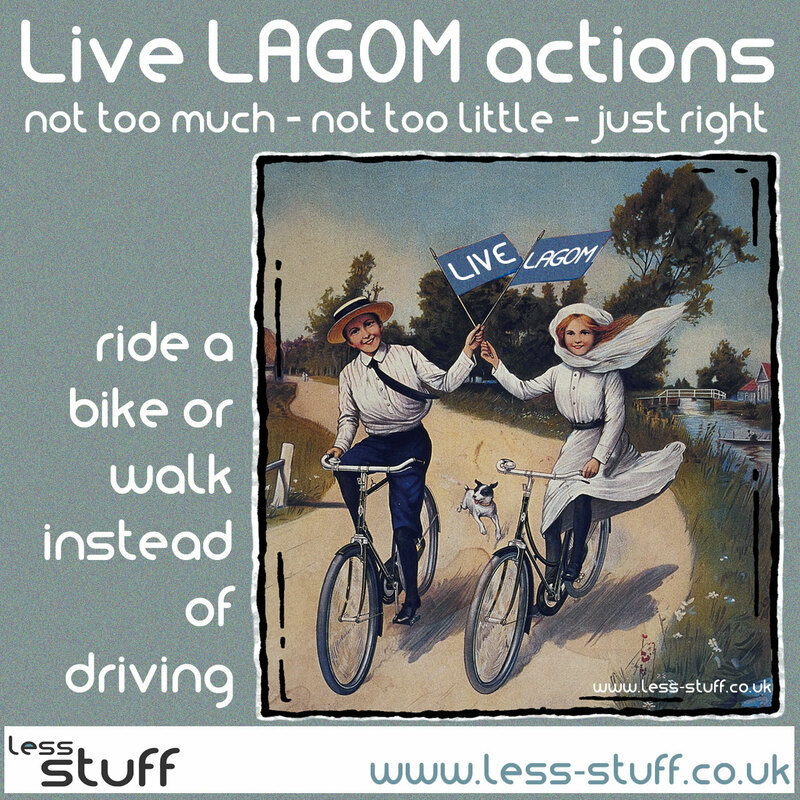 Bike riding or walking saves on petrol and gets you fit so it’s a sustainable no brainer if you can do it. I have a hydroponics unit for the winter but it’s easy to grow salad and herbs on windowsills or in a garden if you have access to outside space. There are lots of tips for beginner gardeners here which I need to keep referring to even though I’ve grown stuff since I was a toddler. I was paying money to heat the outside of the house before I stopped the drafts. Rugs on cold floors make life nicer too. I’ve written in more detail about easy changes you can make to save money and stay warm here. It might take a bit of research to find the best ones for you but they are well worth the initial investment, which is getting cheaper as technology improves. I became a bit obsessed in my LED lightbulb research and did lots of maths! You don’t need to, just read the post about saving money with LED’s instead. 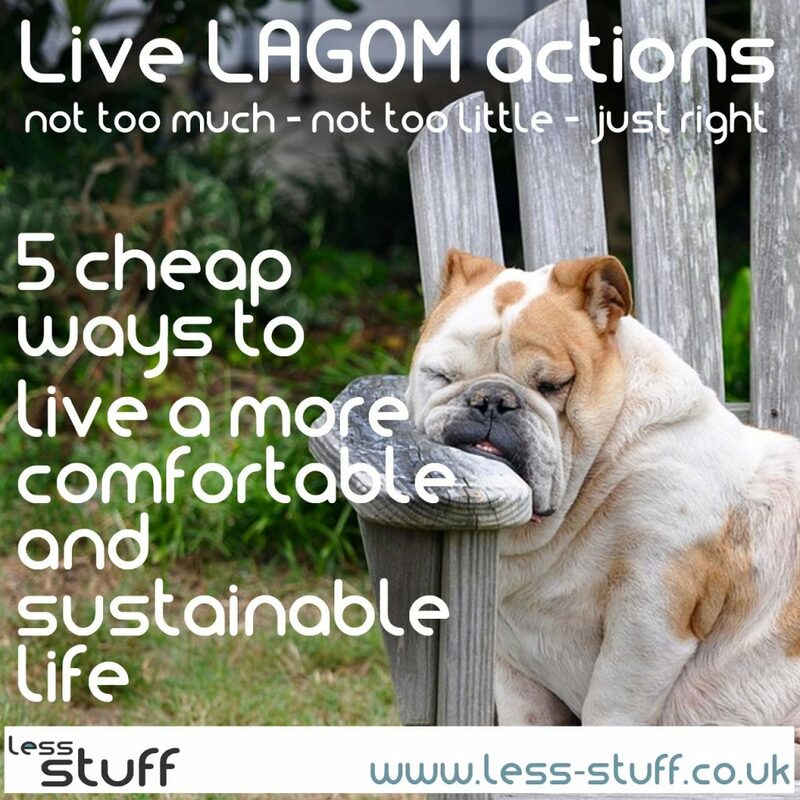 This post lists 5 cheap ways of saving money and living more LAGOM, which means making life easier and being kind to the planet. The most expensive is £11.